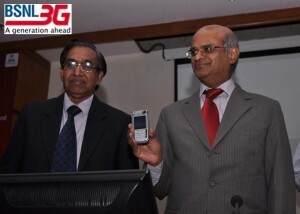 In a bid to Boost the 3G Mobile service, Bharat Sanchar Nigam Limited (BSNL), one of India's leading telecom players, today introduced breakthrough tariff for its 3G Prepaid Mobile service with lowest local Voice and Video calling just 30 paisa per minute for its 3G GSM mobile subscriber in all telecom circles across India. BSNL announced new most affordable tariff plans for 3G mobile services under pre-paid voice, video and data plans. The Video and voice call will now be available for as low as 30 paisa per minute and STD video calls will be available at the rate of voice calls. BSNL is also offering most affordable data usage at a rate 1 paisa or less 10kb on the High Speed 3G Data Network. BSNL's 2G GSM mobile services shall be available at 1 paisa per second for local and STD calls on pan- India basis for all calls made within the BSNL network. Calls to other networks for local as well as STD shall be made available at 1.20 paisa per second. BSNL also has taken initiative to announce new tariff plan for all Local and STD calls at 49 paisa per minute for its prepaid 2G Mobile subscriber in the country. In this plan SMS for local as well as national level has been priced at 49 paise per SMS with the STV ALL@49 which comes with 6 and 12 months validity. BSNL thus announces both the 49 paise per minute and 1 paisa per second plan for all telecom circles across India. BSNL's 3G service is presently available in 240 cities in the North Zone and East Zone. Though initial growth of 3G connections was slow, the response has been encouraging of late. This is in line with global trends where initial uptake of 3G has been slow, followed by faster growth. In order to accelerate the growth of 3G services, BSNL has taken several steps, e.g. improving 3G coverage, launching more Value Added Services to enhance 3G experience and making 3G tariffs more affordable.Migration from 2G to 3G has been made almost free of charge. Data card bundling has also been offered to attract customers. "We are quite hopeful that with these steps, the growth in our 3G customer base would accelerate further", Mr. Kuldeep Goyal said. This strategic tie-up will give customers the unique advantage of high-speed Internet Acces Service compounded with the feature-rich and attractively-priced Netbooks, which will be an offer with an all-exclusive range of tariff offerings, designed to bring the best of both worlds to the market. "By making 3G services affordable in India, BSNL is ultimately facilitating socio-economic development of the masses through applications such as Telemedicine, e-education and e-governance. 3G is an enabler for India to meet its target of 20 million broadband subscribers by 2010. 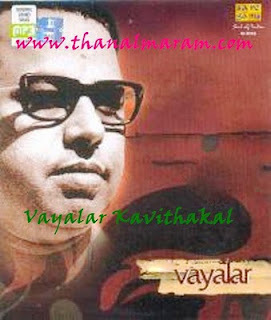 ", added Mr. Kuldeep Goyal.